Thank you very much for your support for the Racer Writing Center. The following is the schedule for Spring 2019. The Racer Writing Center helps students, faculty, and staff from all disciplines become more effective, more successful writers. We believe that learning to write well is a rewarding, but complicated process and that all writers—no matter how competent—can improve. 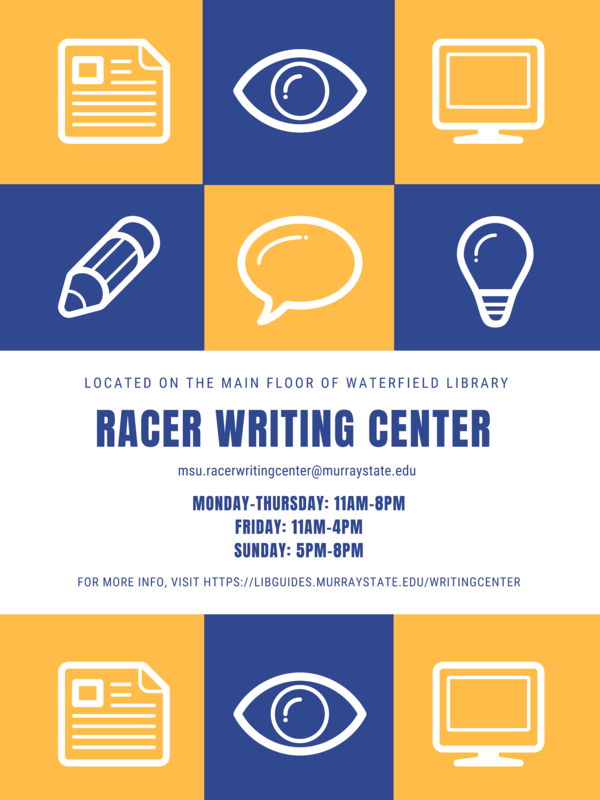 The Racer Writing Center, therefore, provides a setting where writers share and discuss their work with knowledgeable, attentive readers who provide clients with concrete examples and strategies for improving grammar, content, argumentation, and presentation. 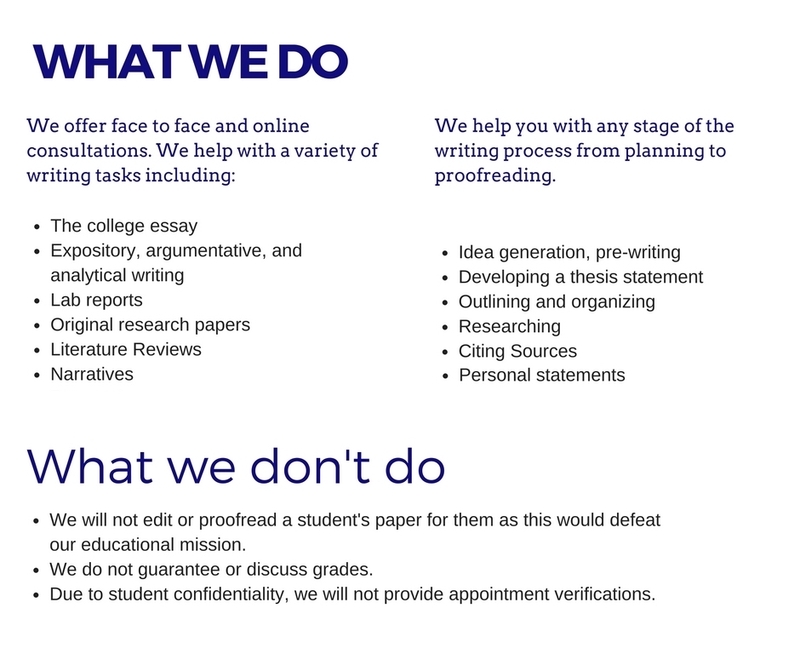 Our methods—multi-faceted, flexible, and above all, collaborative—reflect our dedication to the individual writer, whose talents, voice, and academic and professional goals are central to all our endeavors. In this ongoing process of learning, we serve the entire campus community by aiding in the development of critical thinking, analytical, and written communication skills. Please arrive at your appointment prepared to read your work to one of our consultants. Keep in mind that our goal is to teach you the best strategies to become a better writer. We do not provide an editing service; we strive to teach you how to become better editors of your own work. If you are seeking help with citation and documentation, we will teach you how to use style guides and the Purdue OWL to find the answers you seek. Each individual can book up to two appointments a week, but not more than one session in one day. After your consultation, please take a few minutes to complete our survey. We would love to hear your feedback. Please take a moment to review all our policies and procedures before arriving at the center -- we look forward to working with you! Make an appointment by calling us, or by clicking on our Schedule Appointment button above. You must use a murraystate.edu email address to make an appointment. Indicate what kind of consultation you need in the "advising needed" box. We offer consultations through Google Drive while we communicate by chat or by phone. Call us, share your paper with us and be ready to chat through Google Drive or by phone, or have your paper emailed to us by the start of your appointment time. All online consultations include either chat or phone conversations. If you are not present on chat or do not call at the time of your appointment, your appointment will be canceled.